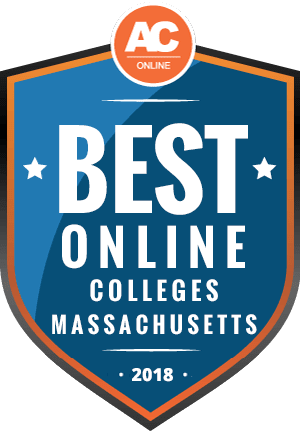 Why Choose Massachusetts for Online Higher Education? According to a report by WBUR one of Boston’s public news stations, two key sectors should dominate job growth in Massachusetts through 2024: health care and computer technology. The majority of new positions in these two fields require some form of postsecondary education to earn the required certification or compete in the labor market. Attending an online college in Massachusetts positions you for these new opportunities. This page provides an overview of online programs in the state, including average tuition costs, admission requirements, and information on transferring credit. It also includes a ranking of the best and most affordable online schools in Massachusetts. According to the Integrated Postsecondary Education Data System, 186 fully online programs in Massachusetts serve approximately 36,000 distance learners. Many of these students seek the flexibility of an online program to schedule coursework around the demands of work or caregiving. Others may study online to develop the skills and knowledge necessary to pursue a new professional interest or leave an industry with declining employment. Massachusetts residents can receive substantial discounts when attending school in the state. At the University of Massachusetts – Boston, for example, in-state students pay $563 per undergraduate credit, while out-of-state students pay $1,361 per credit. The school charges the same rate regardless of whether you study online or in person, though distance learners may waive certain fees for campus-related services. Some public universities charge a flat rate for online students, regardless of residency. At the University of Massachusetts – Lowell, for instance, online undergraduate courses cost $380 per credit, while in-person undergraduate courses cost $340 per credit. Check with your school to determine the tuition rates for online education. Students pursuing a degree at an online college in Massachusetts often pay more in tuition than the national average, though this varies by school. Many institutions in Massachusetts charge the same rate per credit, regardless of whether students study online or on campus. Distance learners may need to pay a technology fee, though they save on room and board. To reduce the cost of your education further, consider earning an associate degree before transferring to a four-year institution. Just over 15,000 undergraduate and graduate students study exclusively online in Massachusetts while living in another state. Many of these students reside in other New England states and take advantage of tuition discounts offered by the New England Board of Higher Education’s Regional Student Program, better known as the Tuition Break Program. To qualify for this program, you must be a full-time resident of Connecticut, Maine, New Hampshire, Rhode Island, or Vermont. Close to 900 undergraduate and graduate programs at 82 public universities in New England participate in the Tuition Break program. During the 2016-2017 academic year, over 9,000 students saved an estimated $60 million in tuition, with the average full-time undergraduate student saving more than $8,000 that year. To receive funding through the program, you must reside in a New England state for at least one year prior to enrollment, though members of the armed forces and their families can waive this requirement. You must also enroll in a program not available in your home state. The Massachusetts Department of Higher Education authorizes all online programs in the state. In 2017, Massachusetts joined the National Council for State Authorization Reciprocity Agreements (NC-SARA), a group of 47 states making it easier for students to earn an online degree out of state. California is the only state that’s not a member or in the process of becoming a member of NC-SARA. If you live in California, check with your school to determine if it holds an individual reciprocity agreement with your state. To compile this ranking of the best and most affordable online colleges in Massachusetts, we considered several factors. We researched the cost of earning a degree at these institutions, including tuition rates, discounts for in-state and regional students, and financial aid availability. We also examined the quality of education offered by these schools using data regarding student-to-teacher ratios and academic support services. All schools on this list hold regional or national accreditation. Keep reading to learn about your best options for earning an affordable online degree in Massachusetts. The following are answers to frequently asked questions by students considering online colleges in Massachusetts. While this information applies generally to most institutions in the state, check with individual schools for answers to specific questions. Do Online Credits Cost More or Less in Massachusetts? Most public universities in Massachusetts charge the same amount to take an online course as an on-campus course. Students at the University of Massachusetts – Boston, for example, pay the same tuition regardless of whether they study online or in person. The University of Massachusetts – Lowell charges online students $40 more per credit than on-campus students. Many private institutions take a similar approach to those in the University of Massachusetts system. Students at Boston University’s Metropolitan College and Boston College’s Woods College of Advancing Studies pay the same tuition whether studying on campus or at a distance. To save money, consider attending one of the 15 colleges in the Massachusetts Community College System. Not only do these schools charge considerably less than four-year institutions, but many offer fully online programs. After you earn an associate degree, you can transfer up to 60 credits toward a bachelor’s degree at a public university. Which Massachusetts Schools Accept the Most Transfer Credits? Through the Commonwealth Commitment and Mass Transfer Programs, students attending community college in Massachusetts can easily transfer credits toward a bachelor’s degree at one of the state’s public universities. If you maintain at least a 3.0 GPA in community college, you can apply to any public four-year institution as a junior and potentially complete your undergraduate studies in just two additional years. Some private institutions also participate in these or similar transfer agreement programs. Suffolk University offers guaranteed admission to qualified students from Massachusetts community colleges. These students can transfer 35-60 credits and potentially receive a $12,500 scholarship to continue their education at Suffolk. Dean College, a private institution in Franklin, Massachusetts, features an even more generous transfer policy. Students can transfer up to 90 credits from another accredited school toward a bachelor’s degree, or 30 credits toward an associate degree. To transfer credits, request a copy of your transcripts from your former college’s registrar. Some schools may charge a fee to evaluate whether you can transfer your credits toward one of their programs, while others offer a preliminary evaluation for free. Will Any Online Colleges in Massachusetts Accept a GED? Yes. Almost all online colleges in Massachusetts allow students to apply if they hold a GED instead of a high school diploma. Some schools may set a minimum score for GED applicants, usually requiring at least a 520 on all four subject tests. You may find it more difficult to gain admission to more selective institutions with just a GED. To improve your odds of acceptance, consider ways you can strengthen your application. For example, you may take either the SAT or ACT to demonstrate that you possess the skills and knowledge needed to succeed academically. You may also ask former teachers to write letters of recommendation on your behalf. In addition, you can use the application essay to provide context as to why you earned a GED rather than a high school diploma. Some schools allow students to take college-level courses before applying to a program. Doing well in an undergraduate course may convince admissions officers you are ready to begin working toward your bachelor’s. How Many Academic Terms per Year Do Online Colleges in Massachusetts Offer? Generally, no, you cannot attend an online college in Massachusetts that offers weekly or monthly start dates. All state schools require students to enroll at the start of the fall, spring, or summer terms. The majority of private institutions in Massachusetts follow a similar schedule, though some may allow you to begin taking courses before applying to a program. If you want to begin your studies right away, consider applying to a school with flexible enrollment policies, such as Walden University, Capella University, or Purdue University Global. These institutions cater to online students, and they often feature weekly, monthly, or bimonthly start dates to help working professionals and single parents balance responsibilities. After taking a few classes at one of these schools, you can apply to transfer the credits you earned to an online university in Massachusetts. To make the transfer process easier, attend a college with regional accreditation. Each of the institutions listed above boasts regional accreditation from the Higher Learning Commission. Which Online Colleges Will Accept FAFSA in Massachusetts? The Free Application for Federal Student Aid (FAFSA) determines your eligibility for various forms of financial aid, including federal grants, work-study opportunities, and low-interest student loans. Many states and private scholarship organizations also use information from the FAFSA to provide aid to students. The federal government only provides financial aid to students attending regionally or nationally accredited institutions. In Massachusetts, the New England Association of Schools and Colleges is the regional accreditor. If your school holds national accreditation, it may work with accrediting agencies like the Accrediting Council for Independent Colleges and Schools or the Distance Education Accrediting Commission. Check the Council for Higher Education Accreditation’s online directory to confirm that your program holds one of these two forms of accreditation. Are There Any Free Online Classes I Can Take From Massachusetts Colleges? While you can take online classes for free at several high-value universities in Massachusetts, you generally cannot receive credit toward a postsecondary degree for completing these courses. A massive open online course (MOOC) platform known as edX provides free access to courses taught by faculty from Harvard University, the Massachusetts Institute of Technology, and Boston University, as well as elite institutions worldwide. You can study subjects such as entrepreneurship in emerging economies, ancient Egyptian art, matrix algebra, or data science. In addition to exposing you to a new subject, MOOCs can help you develop valuable professional skills or decide whether to pursue an area of study. Although students cannot receive credit at Harvard or MIT for these classes, edX allows you to purchase a certificate of completion for some courses. These certificates usually cost $50-$100. Some schools may allow you to sample an online course for a brief period of time before requiring you to pay. If you do not withdraw from the course before the shopping period ends, however, you must pay the class’ tuition and fees in full. Contact individual schools to inquire about online course shopping opportunities. How Can I Find the Online Program Options at Massachusetts’s Colleges? Start by visiting UMassOnline. This portal features a searchable database of all online programs available at each of the six institutions in the University of Massachusetts system. You can search by degree level or major. You can also review nondegree online options, such as graduate certificates, digital badges, and courses that meet continuing education unit requirements. The site also includes a course demo to help prospective students understand the online learning experience. You should also visit Massachusetts Colleges Online, a website for the state’s 15 community colleges and nine state universities. Students can research the consortium’s more than 225 fully online programs, watch testimonials from current and former online students, and request additional information. The site also features an interactive map of participating institutions for students who may want to enroll in a hybrid program. After determining whether you qualify for federal aid, you should research grant and scholarship programs offered by the Massachusetts state government and private organizations. Five scholarships for students attending or applying to online colleges in Massachusetts are detailed below. The MASS Grant provides need-based financial assistance to undergraduate students attending school in Massachusetts. To qualify, you must be enrolled full time at an accredited institution with an expected family contribution of less than $5,486. The state automatically determines your eligibility for this program when you complete the FAFSA. The John and Abigail Adams Scholarship supports high-performing students earning their first bachelor’s degree. Eligible students must receive an advanced score in at least one of the subject areas of the Massachusetts Comprehensive Assessment System exam and at least a proficient score on both of the others. The combined score must also rank within the top 25% of the district. The Christian A. Herter Memorial Scholarship supports students who overcame major adversity. To receive funding, you must exhibit difficult personal circumstances, strong financial need, and exceptional academic promise. You must also maintain at least a 2.5 GPA during high school and in any college-level courses taken. The Agnes M. Lindsay Scholarship offers financial aid to students from rural areas of Massachusetts. Eligibility depends on financial need, academic merit, and residence in a city or town of fewer than 15,000 inhabitants. To apply, you must receive a nomination from the public college or university you plan to attend. This private fund provides renewable scholarship awards to students living in any of the New England states. To qualify, you must pursue a bachelor’s degree in a “demanding course of study,” though the fund does not require a specific major. You must also maintain a GPA of at least 3.0 and report an expected family contribution of less than $10,000.